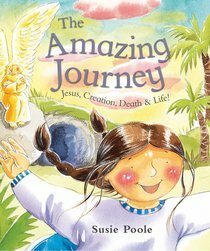 'The Amazing Journey' explains why Jesus lived the life he lived and died the death he died, enabling children to see both why it happened and its significance for our lives today. Susie Poole wanted to be an artist from childhood and her work can now be seen on textiles, greetings cards and in more than a dozen books such as A Time for Everything and Just as I am. Susie lives in Manchester with her husband John and their children.